I visited my daughter in Brooklyn, NY this September and each day when we walked to the nearby subway station this cute little police car was parked outside the police station. 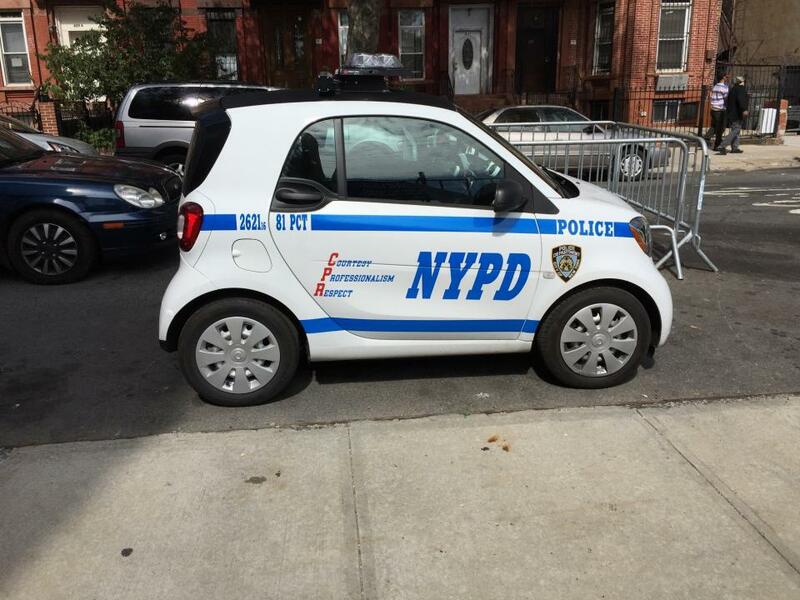 I have no idea how this car would be used by the New York Police Department other than it sure looks cute! I photographed it with my iPhone 6plus. The automatic settings were f/2.2; 4.15 mm; ISO 32; 1/3597 sec.